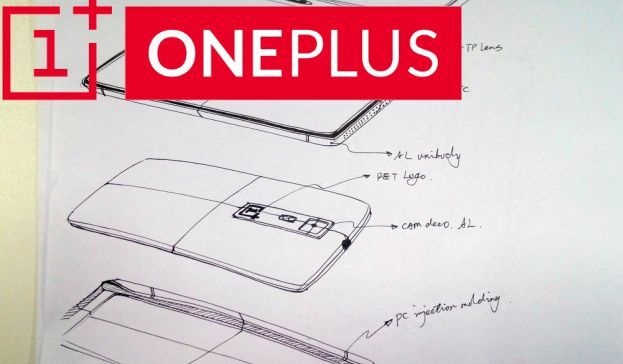 Earlier this week, the OnePlus One was finally unveiled after months of speculation and teasing from the manufacturer. As we pointed out on the day, the device is built to be compatible with most GSM bands, and will work nicely on T-Mobile’s LTE network. According to the blog post, demand for the 64GB black model has been amazing. Far more wanted this model at $349 than those after the $299 white 16GB phone. And it’s not surprising. $50 for a device with four times the capacity, and in a more popular color is a steal. Now, of course, we know this device will almost certainly not be available direct from any carrier. It’ll be sold unlocked, carrier-free and direct from manufacturer. To find out more and sign up for updates, head on over to the OnePlus web page. If the roll-out is anything like what happened for the Nexus 4, it will be a pain… I like the whole concept of a $300 phone with high end specs, what worries me if it becomes too popular it will get into the hands of non-technical people and then support might be a problem. I don’t want this great concept to be frowned upon due to bad support experiences. Cyanogen is in charge so I’m less worried about the support. I do see your point and am sure non-tech people will certainly get one. Likely, their issues will be easily handled. I’m very interested in this. However, I will wait to see how the hands on goes first before pulling the trigger. Paper specs look great, but if its insanely buggy, then I’ll wait until it matures before pulling the trigger. Seeing that Cyanogen is being ran, and they will offer support and updates, I wouldn’t be too terribly concerned with fixes taking too long. You have a great point, but remember that this isn’t Samsung, HTC, etc. If only they include wireless charging. Without the expandable memory I won’t consider this device. I am glad to see them launch it, and look forward to a newer version in the future that has this option. 64Gig for $350 is awesome! I’m waiting to see what’s up with the G3 or possible Galaxy (f? Prime? ) before I take the plunge. This is a sweet deal but I really do want wireless charging and an sd slot to transfer all my files easily. Plus I was hoping to maybe downgrade to a screen 5.3″ from my Note 2. I think that’s the sweet spot for me. So mainly hoping the premium Galaxy phone is real. I’m patiently waiting until June when I intend to get a 64GB version of the OnePlus One! $350 for a device like this with 64GB’s internal is damn good! Will I be able to get one without an invite? If not, how easy will it be to get one? I never win any of these chance games that are purely randomized and luck based. Where do I even go to apply for an invite? According to the schedule above, it would be available more freely the closer we get to June and into it. Oneplus is saying at that time invites should be very easy to come by. You can follow their announcements via the various social media platforms or in the forums at oneplus.net. You forgot the lack of Band 2. In Cincinnati? where TMO only has 5×5 MHz AWS, Band 2 (PCS) is what they’re gonna use for LTE. It’s really pathetic Cam didn’t catch that; I wonder if he even looked at the specs. T-MOBILE US bring this to your selves with lots space storage! It won’t be sold by any carrier. You have to buy it directly through OnePlus. Panther Lady… do you know if we’ll get this stuff, too? Ours is the International version… wonder if any difference from the US-bound one. Anyone know when the 100 winners will be announced? If I win it and have to destroy my phone I’m either using a maser or a blunderbuss.either way I’ll give oppo a show. You didn’t hear they changed the contest? Long as my entry is still valid. Yeah I’ll send you an invite if I get one. Considering all the knowledge bombs you’ve dropped for all of us. Yes, they’re still picking 100 winners, just not sure what they’re basing it on. Appreciate the invite if you get one and I’ll do the same for you. Not sure if you know this or not, the invites will be based on variant (16GB or 64GB). You won’t get an invite and get to choose.